I've always been a big fan of both giving and receiving coffee table books as gifts. They make a great piece of eye candy for guests and are things people often don't buy for themselves. Last year I created a gift guide of coffee table books for fashion lovers (find it here), but this year I've broadened my horizons. 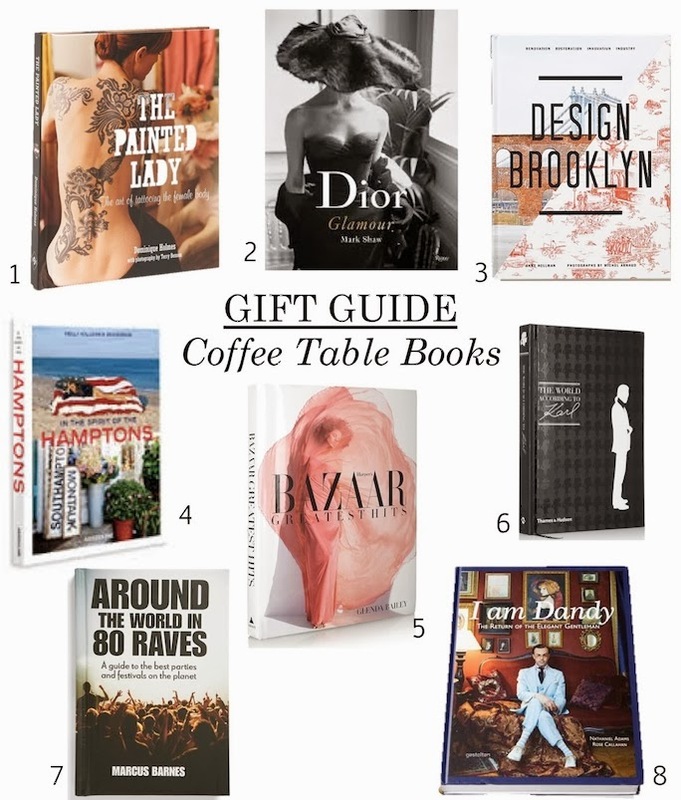 Whether you are shopping for your party loving brother, label lover boss or your favorite hipster, there is a coffee table book for everyone on your list. There really is a coffee table book for everyone! I do agree that they make great gifts, too :) I NEED to have that Dior Glamour one. So many great picks (and new-to-me ideas)! I'd love to find the Karl Lagerfeld one under the tree!